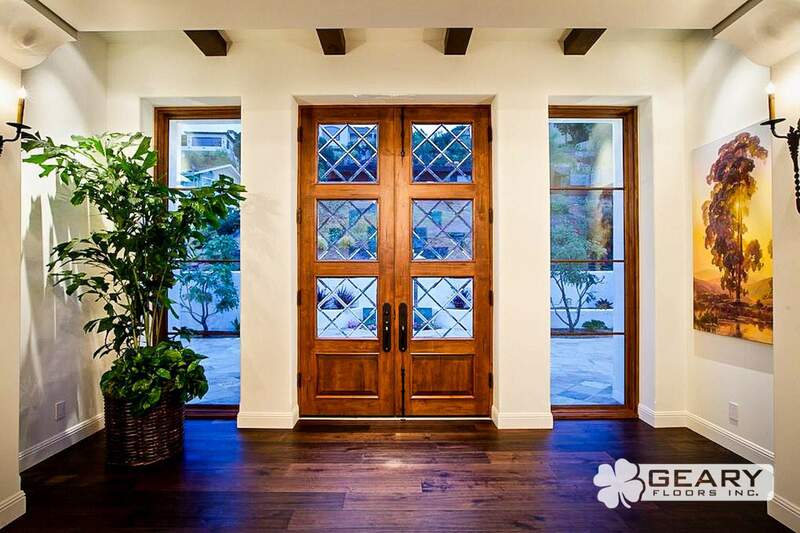 Wood floors provide your home with timeless beauty, and are naturally durable and easy to maintain. They are an excellent investment in the appearance and value of your home. 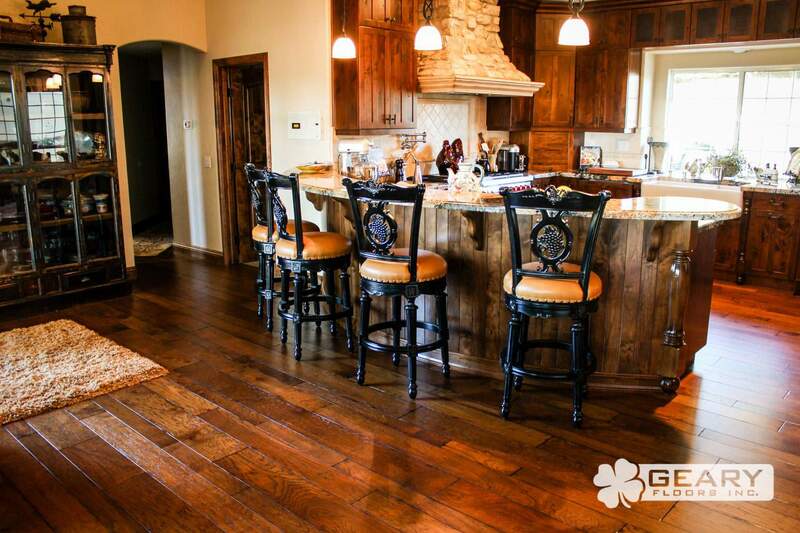 We offer a variety of options to install a lasting and versatile floor in your home. 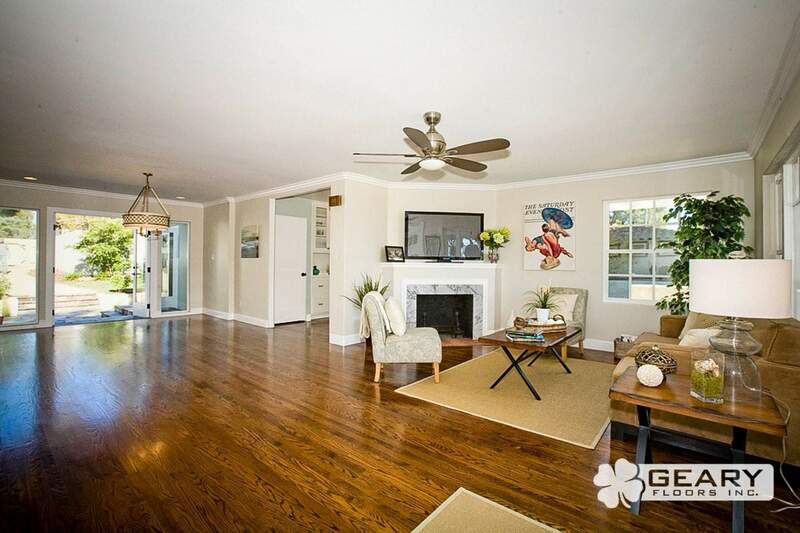 We also refresh and restore existing wood floors. 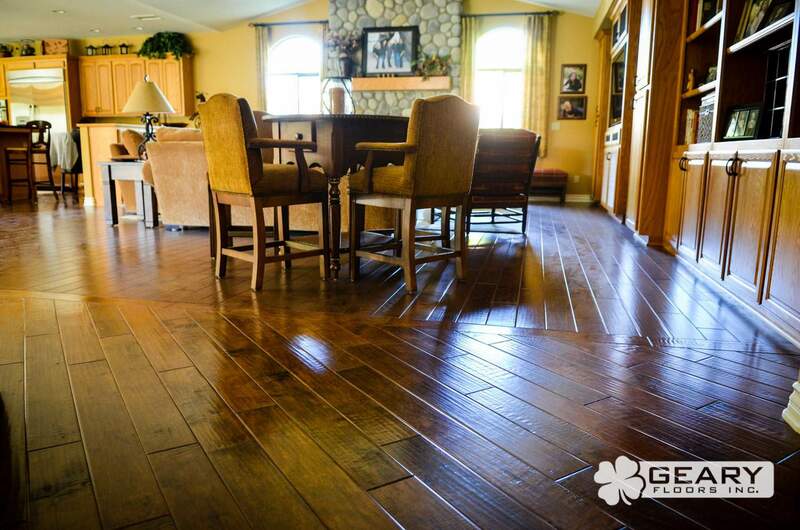 Well-maintained hardwood floors can last a lifetime! 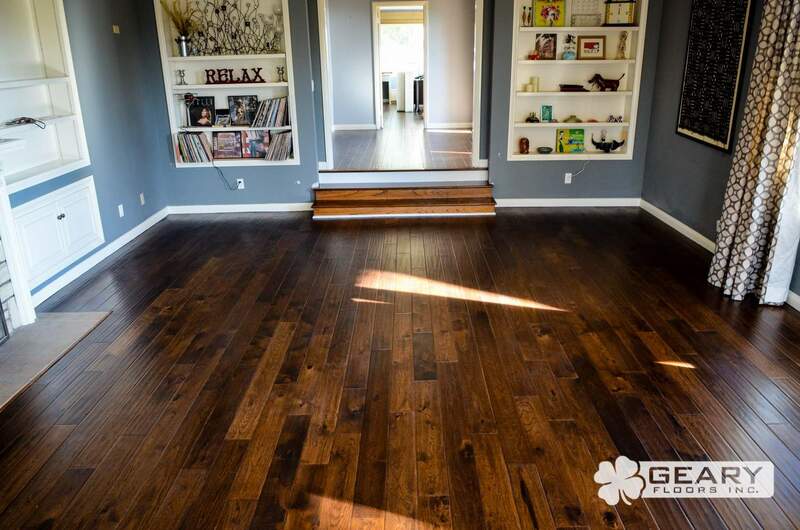 Geary Floors provides free in-home estimates with an experienced professional. We were referred to Sean Geary by Bill Howe plumbing after a mishap with our water heater. Floors were only slightly damaged from water heater but in overall horrible shape and needing replacement. Sean was able to offer a spot fix. 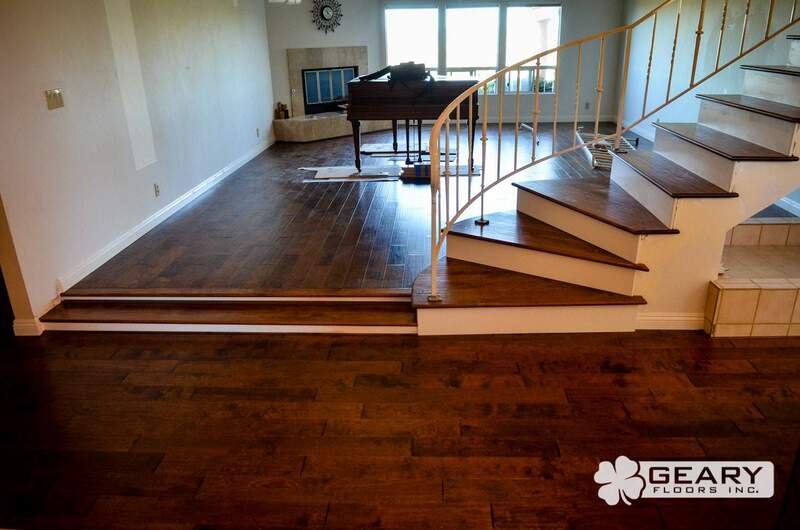 However after talking with him we were presented the option of replacing all the hard wood or sand and refinish which was one third the price and Sean promised a brand new floor looking result. 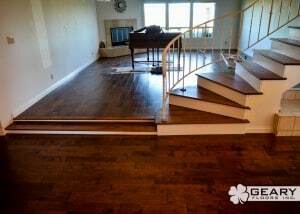 The floors were 25 years old and in really bad shape bye we decided to try and refinish. Sean’s crew were all super professional, knowledgeable and equally important immaculately clean throughout a potentially very dusty messy process. 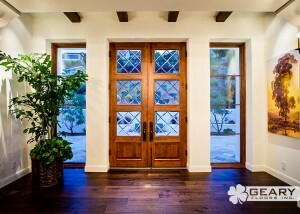 The floors look incredible just as promised and with the new moldings look fantastic. Would highly recommend to friends and family. 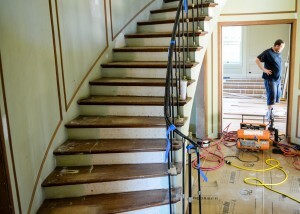 Geary Floors will handle your entire project, start to finish. Expect the best from our team of highly skilled craftsmen–when it comes to your investment, you should only trust someone with a reputation for superior quality and customer service, who will finish your job on time and on budget. Whether your project is big or small, attention to detail puts Geary Floors at the head of the class. 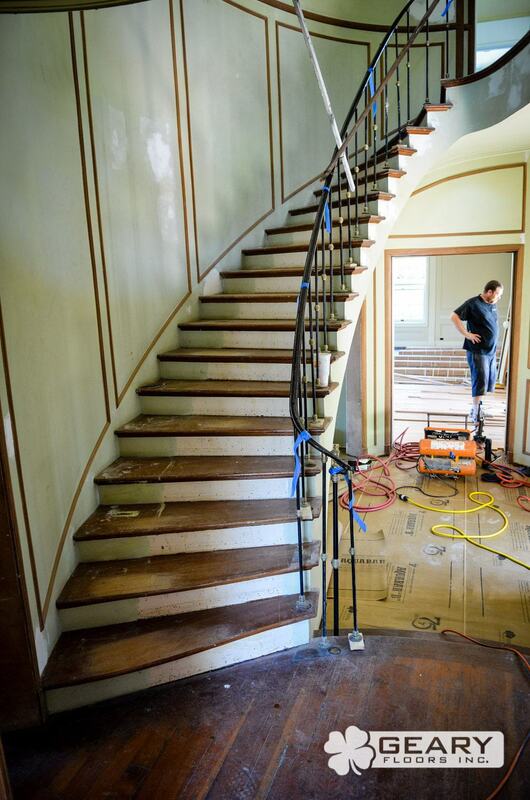 We are experts at custom fitted staircases and inlays, made with the finest craftsmanship and precision. Expert craftsmanship starts with a strong, flat foundation, that will hold the finished product above the rest. 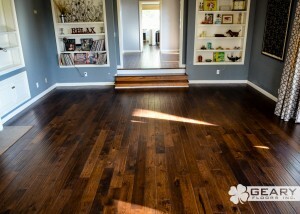 When should I refinish my floors? 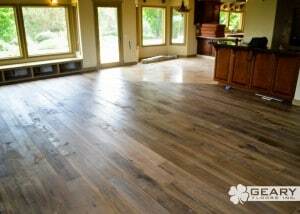 The protective finish on your floors will dull and wear off over time from normal use. 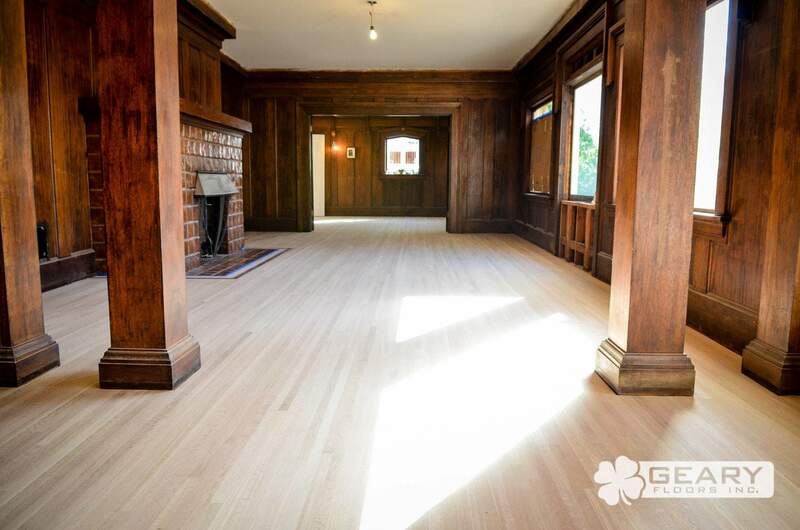 When you can see the bare wood, it’s time to sand and refinish your floors. 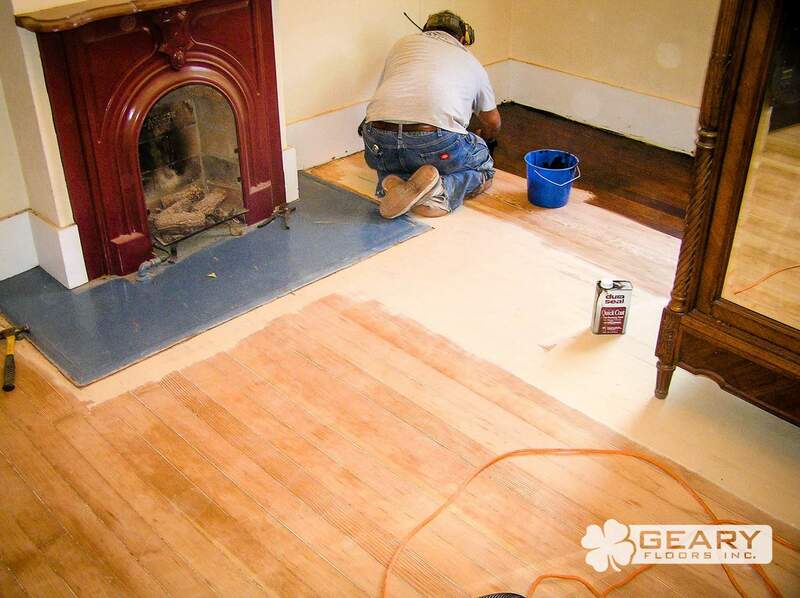 Sanding can remove many unsightly scuffs and scratches on the surface of the floorboards. 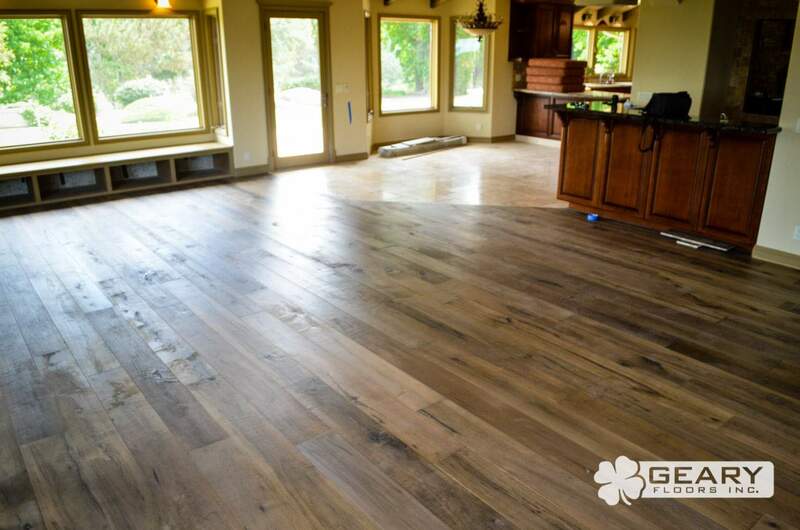 A sanded floor can then be stained for a modern look, or can be sealed with the natural color of the wood. 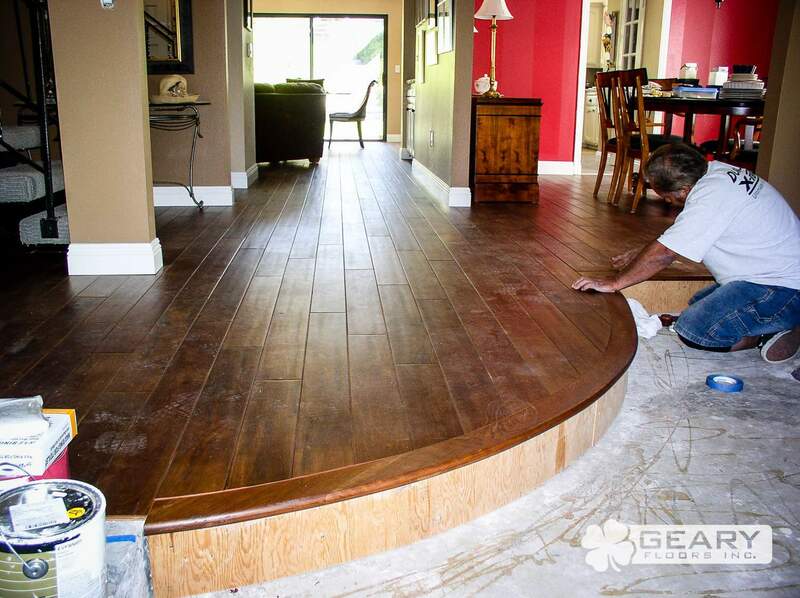 Geary Floors uses a multi-step sanding process to completely remove the existing finish and make your floors smooth to the touch before we apply a protective finish. Annual maintenance is quick and easy. We are happy to recommend a personalized maintenance schedule to our customers. 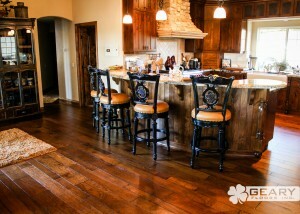 Check out the most recent of our Residential Flooring Projects. To view more projects, or projects from our other service categories, check out our projects page.